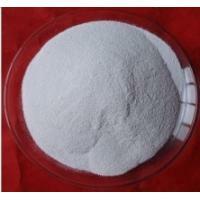 Home Companies YiChang Municipal Pacific Chemical Co.
Usage:used for feed additive for various animals. growing well, enhance output..is Used as a porcelain glaze, as a fertilizer additive and as a catalyst. used as a nutritional factor and in the prevention of perosis in poultry. One of TOP asian phosphate bases, one of the TOP chinese suppliers of Rock Phosphate RP, Mono-Ammonium Phosphate MAP fertilizer, Fused Magnesium Phosphate FMP fertilizer and Single Super Phosphate SSP fertilizer, Potassium Phosphate Monobasic MKP fertilizer, Urea Phosphate UP fertilizer, NPK water soluble fertilizer, EDTA micronutrients fertilizer and Mono-Ammonium Phosphate MAP, tech grade, Dicalcium phosphate DCP, Mono Dicalcium Phosphate MDCP, Mono Calcium Phosphate MCP and Ferrous Sulphate shipped 400,000mts fertilizer in the past one year, We can supply fertilizers and feed additive in ore, sand, crystal powder or granule with best quality and most favorable price at 60,000-10,000mt per month each . Compared with other fertilizer plants in China, our advantages are easy transhipment, low cost and unlimited power for we transport our fertilizer to FOB loading ports by barges through the Yangtze River, instead of trains.